Life skills are an important part of education at JPII. Not only do we educate students on core values, but we teach each individual the fundamental skills necessary for life outside of school. As a way to reinforce life skills, they are built-in to the curriculum. The story of our new kitchen and programming actually started in 1989 with Mrs. Mary Maher, who was our Secondary/Religion teacher at the time. At this point, JPII was located at South Sixth Street and equipped with a “kitchen” that included a sink, fridge, and range. 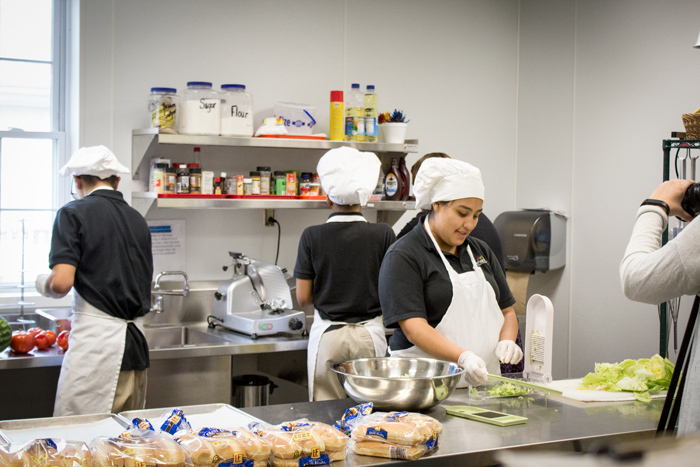 Along with cooking one lunch per week, our work program was just taking off, allowing our students to work on skills they could use in the real world. Fast forward to 2008; We were settled into our current building for a few years. Mrs. Rene Berkhammer found her place as the Secondary Life Skills teacher and started to develop the working foundation that Mary Maher had laid out. With help from Mike Boylan (President of Berks Packing Co. at the time) and having a solid culinary background, Rene implemented a three-day rotational lunch with students ordering pizza and subs twice a week while cooking on the third day. Eventually, the cooking program took over lunch all three days of the week, but the old kitchen at our current location had its limitations. We knew we needed to do better if we wanted to expand our programming. Thanks to the support from everyone during our recent capital campaign, our new kitchen has become the conducive learning environment that both Mary and Rene had always hoped for. It was designed to provide students with an understanding of how a real-world kitchen works, complete with steam tables, ovens, stove-tops, separate sinks for hand-washing and food prep, industrial refrigerators and freezers, dry storage, and a full service dish washing station. 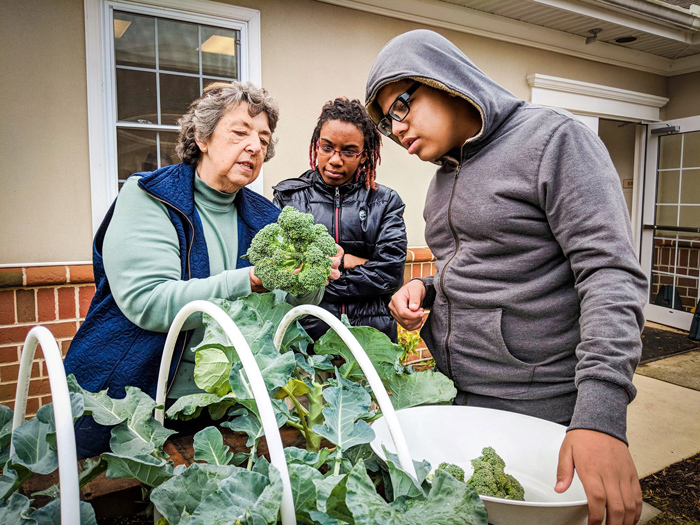 Our garden also received a makeover, allowing both Rene and Priscilla Plucinski to ensure that the kitchen and garden would work together hand-in-hand. With a newly implemented kitchen curriculum, the fruits and vegetables that we produce in the garden are used to create some truly fresh meals (giving way to a farm fresh mentality). This setup compliments both our school-wide jobs and our work program, allowing our teachers to tailor programming to individual students based on skill levels and interests. All in all, it’s almost like we’ve come full circle. Although it has been quite a few years since Mary Maher first planted those seeds for the Life Skills program, she had a vision for the future. We now find ourselves in 2018 planting seeds for crops we can use in our new kitchen, teaching young minds how to cook, and finding some of them job placements in kitchens around town. Now that is cool.